We are days away from the end of our kitten fostering adventure. Two months ago I picked up three kittens from the Denver Dumb Friends League. Of our original three we have one left, and ended up fostering one additional litter mate when his sister died in the shelter. Five kittens were born together, and this week two kittens will go back to the shelter to find their forever homes. The experience has been humbling, sad, and full of love and joy. These fragile creatures are so tiny, yet so big in our hearts. Reflecting back on the experience, we have learned so much. Stray kittens have a rough start at life. In the family of five kittens three died. One of the living had a bacterial infection and the other had a parasite and both diseases threatened their lifes. I learned how to give IV fluids, antibiotics, immunizations, and anti-parasitic medicines. If my job goes south I have many qualifications of a vet tech now. Even with all my dedication, hard work, care, and the wonders of modern medicine accidents still happen and kittens still die. There is a very, very good reason that they stress keeping your toilet seats down when fostering kittens. Of all the life lessons I hoped our family would learn from this, I never hoped to learn that one. Life is fragile. Never doubt it. 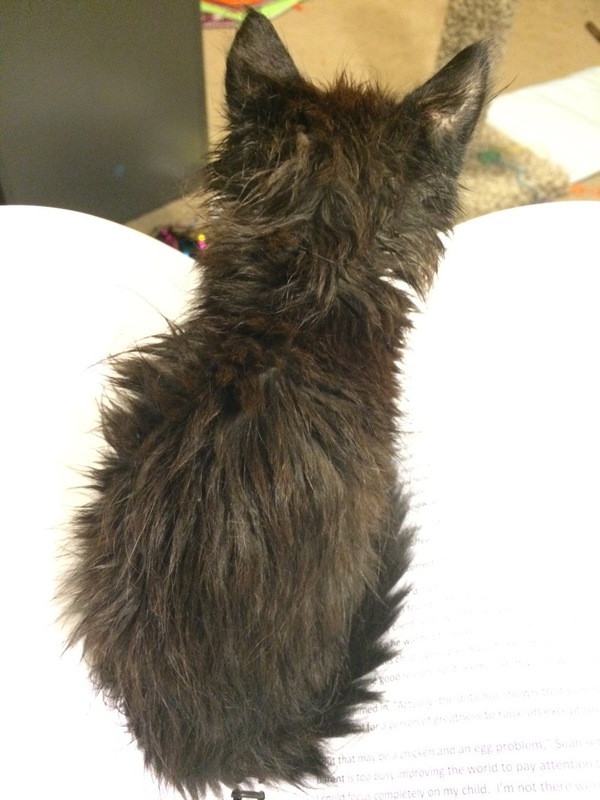 When you tell your daughter that the kitten drowning is “family business” she will still tell her friends, who will tell their friends, who will tell their parents, who will ask you point blank at awkward times if a “kitten really drowned in your toilet.” They are judging you, but you don’t need to judge yourself again. Horrible things happen and people who don’t risk taking care of the sick and weak will never have to answer such questions. The animal foster community is amazing. The foster coordinators who work at the shelter saw me at my worst many times. They were always loving, took my concerns seriously, and gave the best care to the kittens. The other volunteers and foster parents were a resource that this new foster parent drew on daily. Once we were over the hump and the kittens were healthy and growing, the community rejoiced with me. 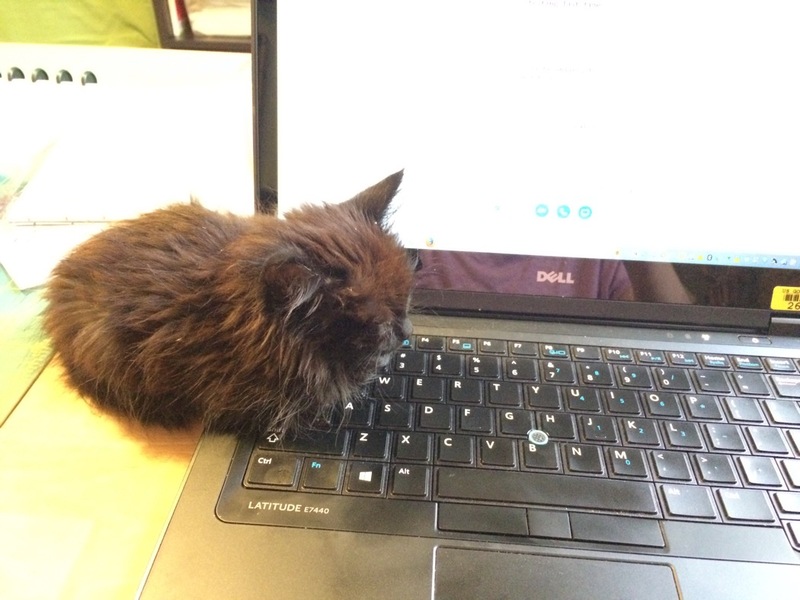 Our kittens were technology wizards. They quickly learned that heat comes out of laptops and modems and always found the warmest place to sit. Kittens do not make good bookmarks. They are too lumpy. 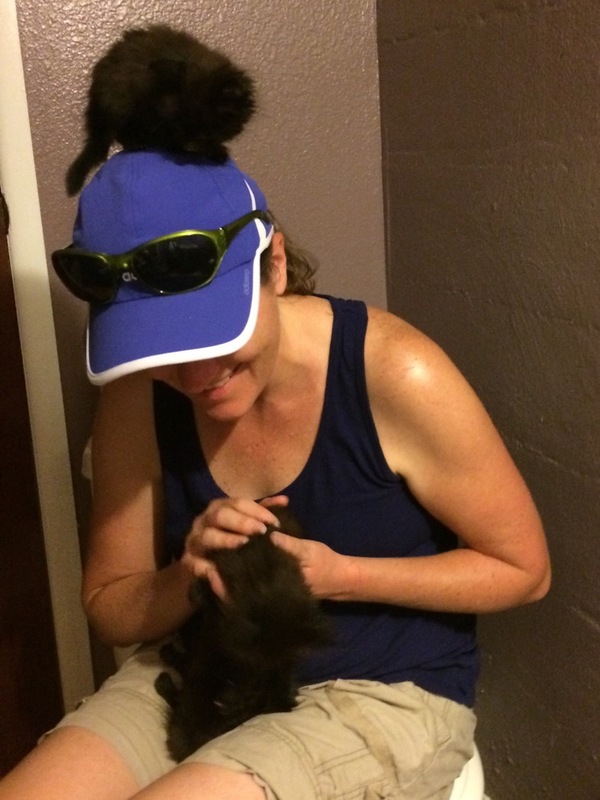 Anytime you put something on your head that a kitten hasn’t seen before – earrings; hats, sunglasses, glasses – those objects must be explored and tasted. 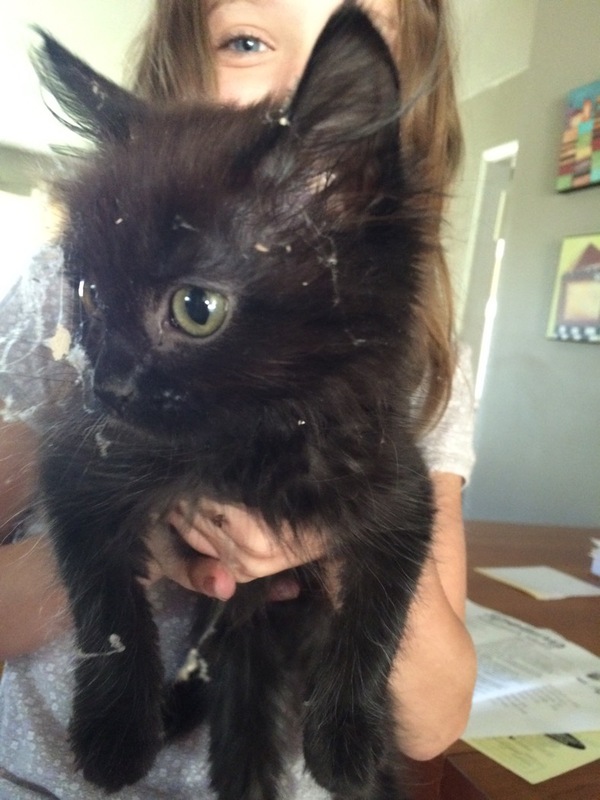 If you are not a good housekeeper a kitten will reveal every bookcase that hasn’t been dusted under, refrigerator coil that needs vacuuming, and errant spiderweb in your house. 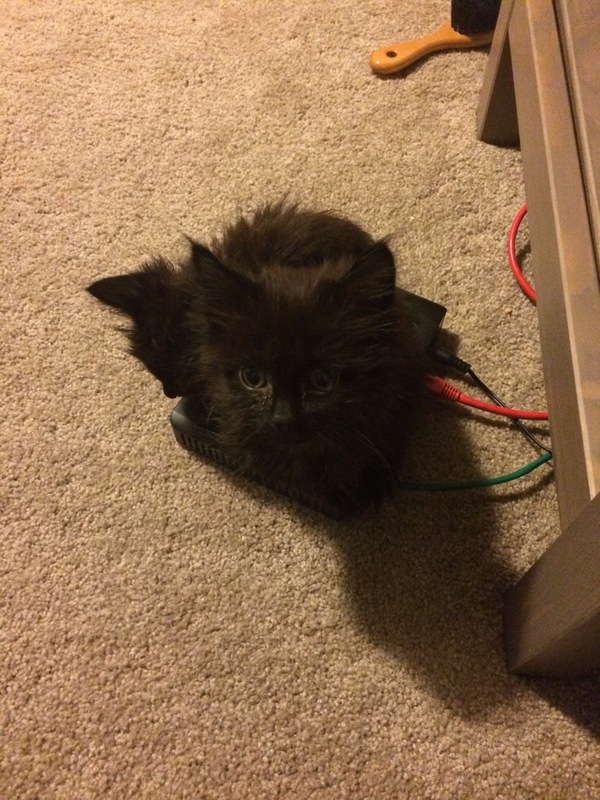 They will clean these areas for you, and then you will clean the kitten. 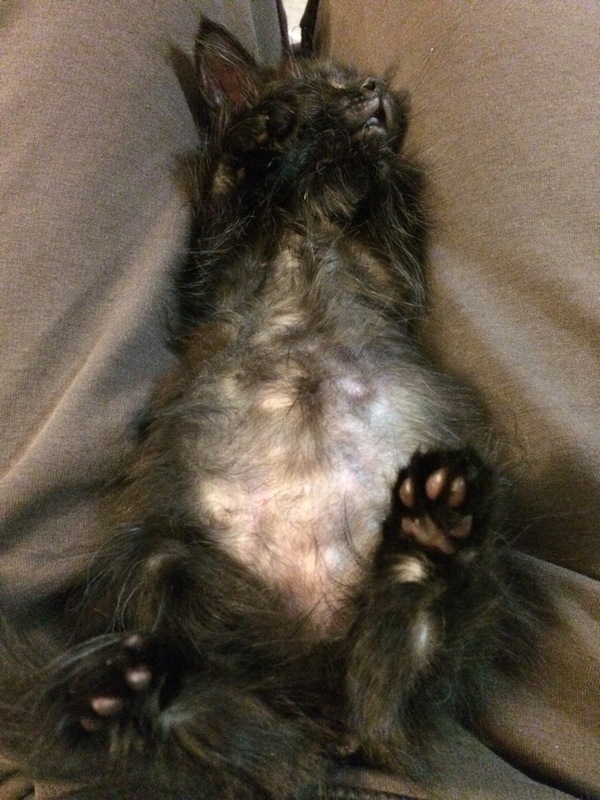 Baby kittens do not have hair on their bellies at first. This makes kittens attractive from the top, but unattractive when rotated 180 degrees. 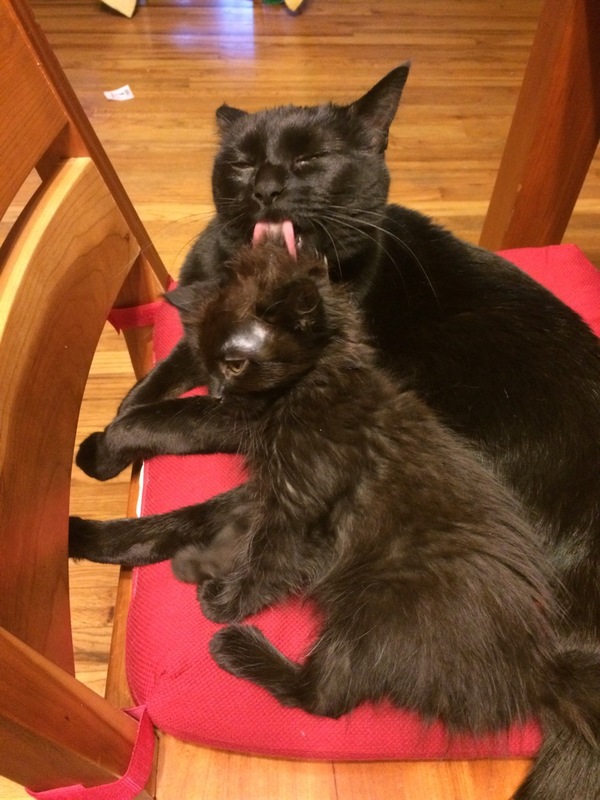 After 7 weeks of hesitant interactions kittens really taste good. 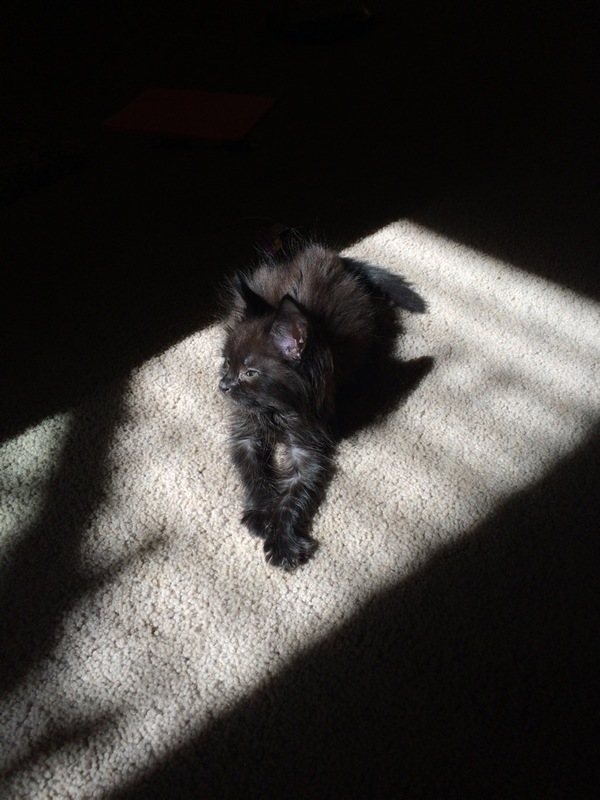 There is only room in any sunbeam for one kitten, regardless of the size of the sunbeam. Big eyes help kittens get away with a host of transgressions. We’ve decided that these are not our cats, and giving them back is going to break our hearts for the hundredth time. When they leave us I hope they find love, patience, a big cat to play with and a bad housekeeper to love them. If you ever find yourself in need of a new pet, I encourage you to adopt from a shelter. You never know the kind of love that may come with your new pet. What’s the Opposite of Prophesy? It’s been rewarding, but I am going to miss these little guys when they are gone. Our last cat was fostered and she is so sweet! Wow, such a beautiful yet heartbreaking experience. I once took care of a kitten from 10 days on and had to rehome her at about 4 months old. 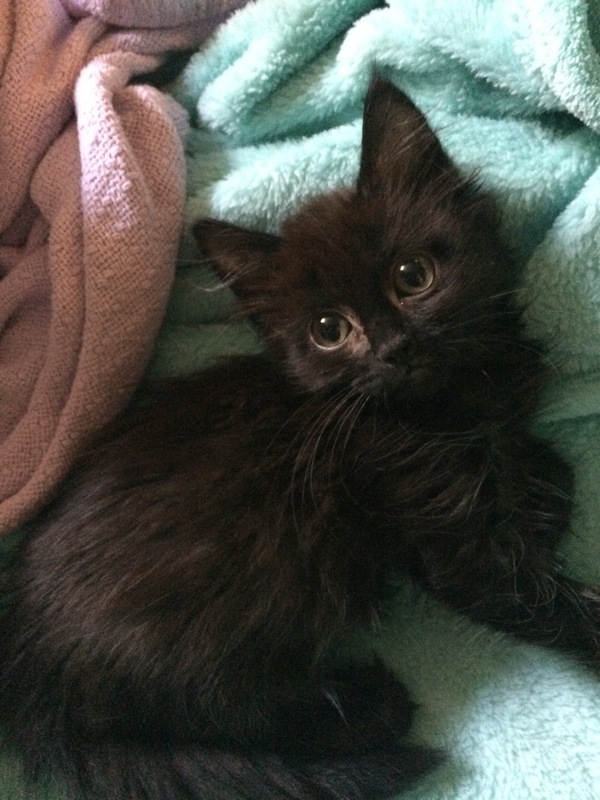 She was meant to be my cat and it really sucked to have to give her up but both her and her siblings were able to be helped because I took her in, and I’m glad they had a better start in life… as their mother was stray and pretty wild. So basically I guess I helped turn them all into domestic cats instead of wild like their mother (who was an awesome but temperamental cat). Adorable pictures and you guys definitely learned a lot! I don’t know if you found my link from the writing 101 course so here it is. quirkycatsblog.wordpress.com Buddy always has something to say and he may not be a foster cat for long. I did find your blog! Buddy is adorable. Orange cats are my weakness. My children and I have discussed fostering kittens. We have three shelter cats, each with its unique personality. Fostering kittens could be a wonderful challenge for all members of the household–human and feline. Great blog post! Thanks for reading and I have to say that the fostering has been a experience, both good and bad, for our family. I am amazed at how much work goes in behind the scenes to make shelter animals healthy and adoptable. If you are seriously considering it, I’d be happy to chat with you. Adorable photos! Thank you for sharing this. Through the ups and downs it sounds like there were valuable lessons for your family. All of our animals are from shelters or rescues also.